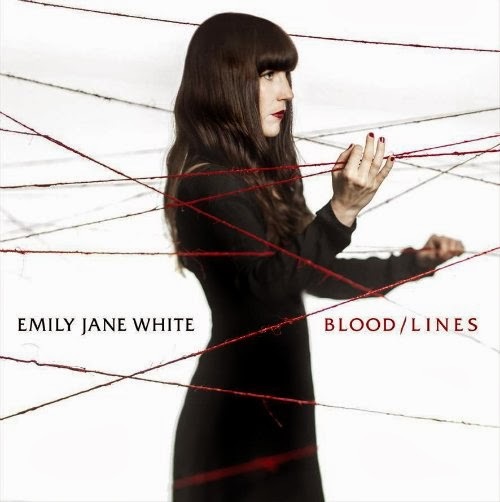 In anticipation of her fourth LP, Blood/Lines (which is slated for release on November 19 on Important Records), singer/songwriter Emily Jane White offers “Faster Than the Devil” as the album’s first single. In a striking confluence of shadow and light, the song contrasts a menacing, gothic vibe to White’s silken lead vocal and an angelic-sounding choir, with singer/songwriter Marissa Nadler complementing the latter, more sublime choral moments. Altogether, it’s an intriguing song and a remarkable preview of the full album to come.